Home > Portfolio > Select Portfolio > Novartis Consumer Health Canada Inc. 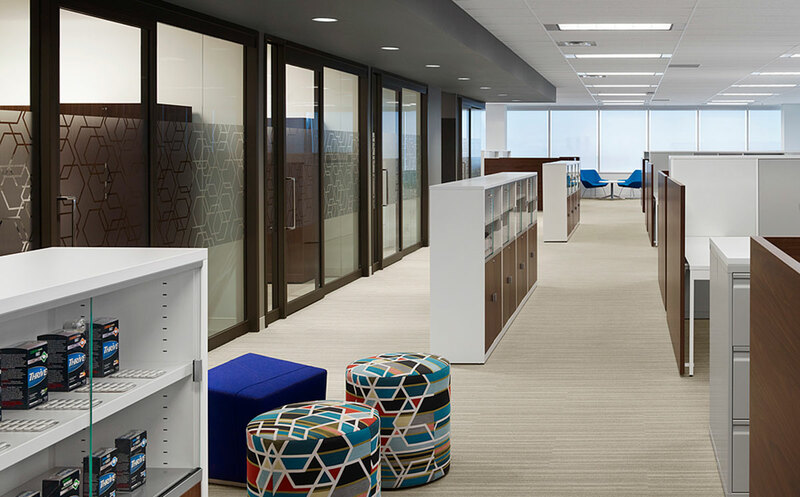 This project, which was completed for Novartis Consumer Health Canada Inc., one of the world’s leading healthcare companies. Novartis’ dedication to scientific research, imagination and new technologies has led to the creation of thousands of ground-breaking products and services in the areas of pharmaceuticals, nutrition, eye-care and animal health. 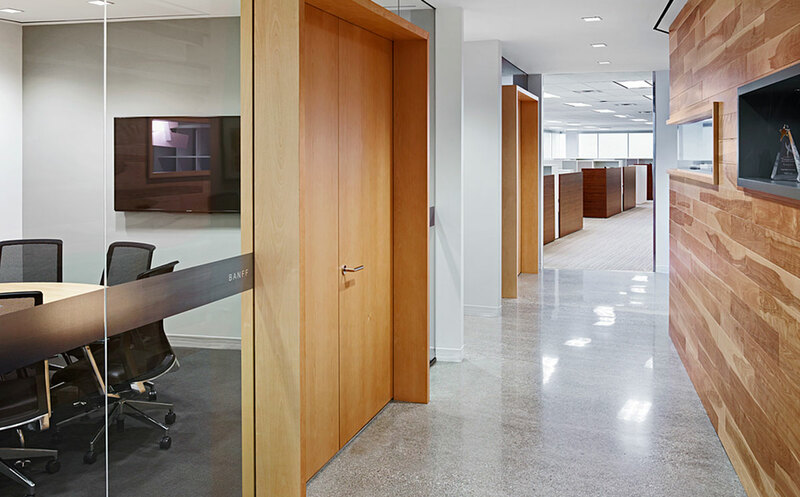 MARANT was retained as the general contractor for the leasehold improvement process related to Novartis’ consolidation to a new location in Mississauga, ON. 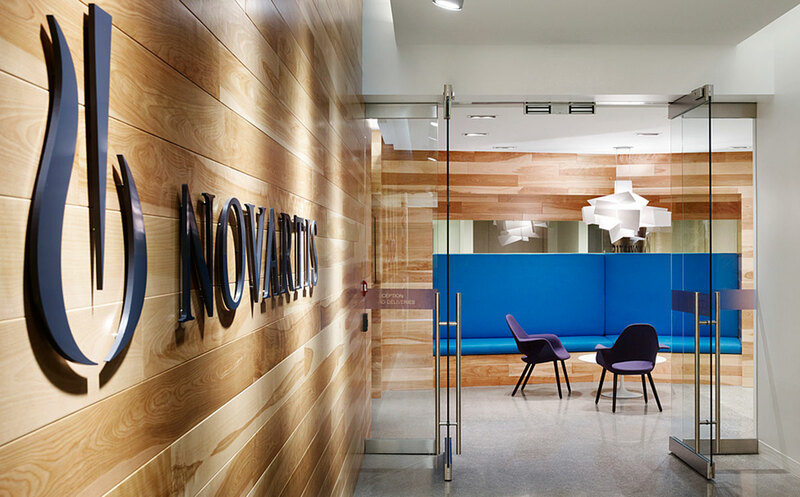 Novartis planned an open office concept with some offices and meeting rooms, however, they were positioned on the core rather than the exterior glazing. They used environmentally friendly finishes including reclaimed wood and glass for their reception feature. 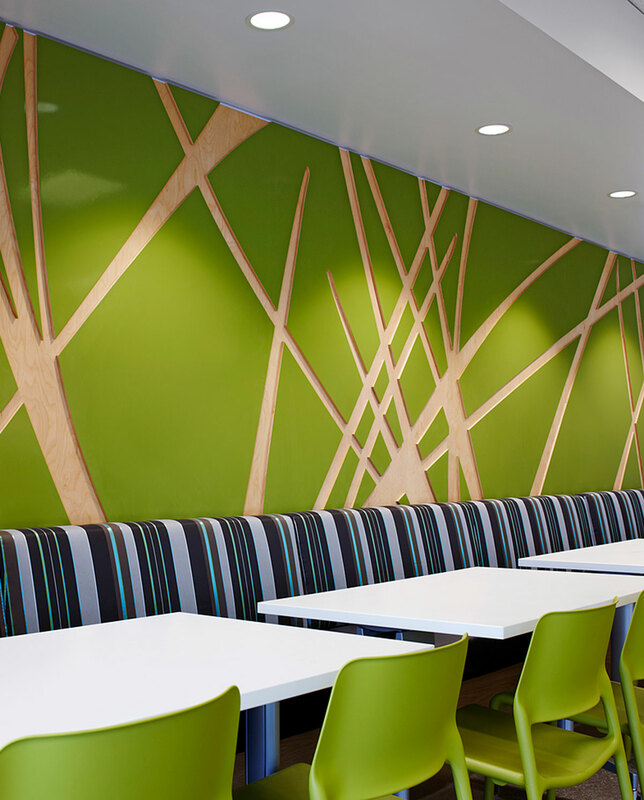 The project was very fast tracked with a moderate budget and all project objectives were achieved.